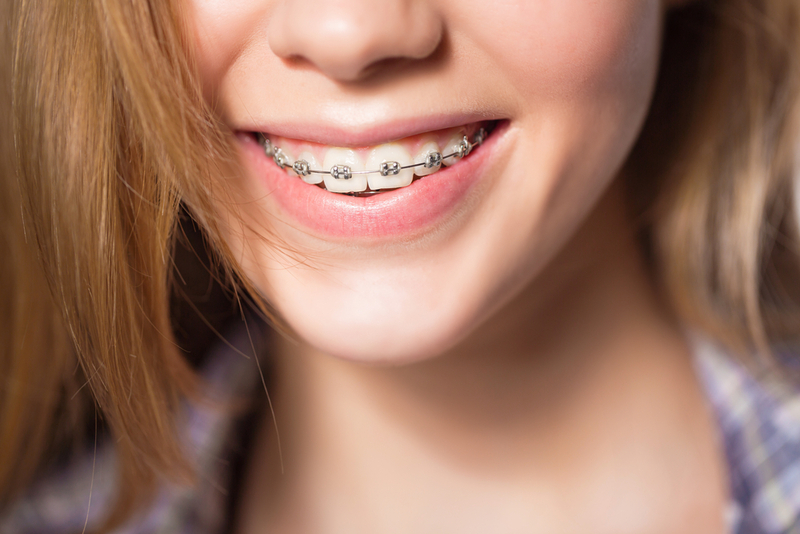 Regardless of your age, both young and old need good orthodontic treatment and care. Orthodontic treatment is something that all Lakewood, Colorado, residents should have access to. The American Association of Orthodontists reports that 70 percent of Americans could benefit from treatment, but choose not to for various reasons. At Belmar Orthodontics, we want you to feel comfortable about visiting our office and to address any questions that may be keeping you from walking through our doors. We have taken some space here to answer 5 of the top orthodontic questions that are asked about treatment, namely: 1) What are some signs I should see an orthodontist; 2) How long will treatment take; 3) How do I choose a good orthodontist; 4) Am I too old for orthodontics; and 5) How much is the visit going to cost me? What Are Some Signs That I Should See an Orthodontist? How long your orthodontic treatment takes varies greatly from patient to patient. Things that influence the length of your treatment include: 1) the complexity of your orthodontic issues; 2) if you have decay or periodontal conditions that must be treated prior to your orthodontics; 3) if you develop decay or periodontal conditions during treatment that delay your results; 4) how dedicated you are to maintenance of your oral appliances (braces) and hygiene; 5) the kind of braces you choose; 6) if you regularly keep all your appointments; and 7) genetics–how quickly your teeth/jaw move into their proper position. Treatment can range from a few months to three years, but the average treatment time is between one and two years. During your consultation with Dr. Hardy, he will discuss with you his estimations for your case. Locating a skilled and reputable orthodontist is a vital component in finding success with orthodontic care. Though general dentists can also offer orthodontic services, an orthodontic office specializes in orthodontic treatment and has the expertise required to deliver trusted results that will not just meet your expectations but exceed them. Dr. Hardy earned his specialty degree in orthodontics through post-graduate education and training where he focused extra years of study on misaligned teeth, adjusting occlusion, and treating jaw disorders. Compared to general dentists, orthodontists spend 2-3 additional years training in a specialized orthodontic residency program and commit 100% of their practice and continuing education solely to orthodontic care. Different orthodontists use different approaches for straightening teeth and optimizing your oral health. You want to make sure you are getting the best. Dr. Hardy focuses on the overall aesthetics of the face – not just your teeth. Belmar Orthodontics offers a variety of treatment options – including traditional braces, ceramic clear braces, Incognito Lingual Braces and Invisalign® – and prioritizes patient education so the patients themselves can make the final decisions regarding their orthodontic care. When you have orthodontic questions, we have answers. In addition, Dr. Hardy specializes in working with children and teens to make their orthodontic treatment as comfortable and convenient as possible. One of the most common orthodontic questions that adults ask is ‘am I too old for treatment?’ Our answer is a resounding no! No one is too old to experience the life-altering benefits that orthodontic treatment can offer–for the better! The American Association of Orthodontists reports that of the 4.5 million Americans in orthodontic treatment, 25 percent of them are adults. Belmar Orthodontics helps patients of all ages obtain straight, beautiful, and functional smiles. How Much is the Visit Going to Cost Me? Orthodontic expenses can be a major concern for our patients so we understand why this is an orthodontics question you have. At Belmar Orthodontics, we do not want these expenses to compromise your ability to obtain good oral health or a beautiful smile. We accept cash, check, and credit card payments, but we also offer customized-payment plans for qualified applicants as well. Our practice also accepts most dental insurances. Please contact our office to learn more about our payment plans and how orthodontic treatment can work with your budget. If you are interested in how we can help improve your smile, please contact our office today. We are happy to answer your questions, and we can help you schedule a one-on-one consultation with Dr. Hardy to discuss your unique orthodontic needs and goals.